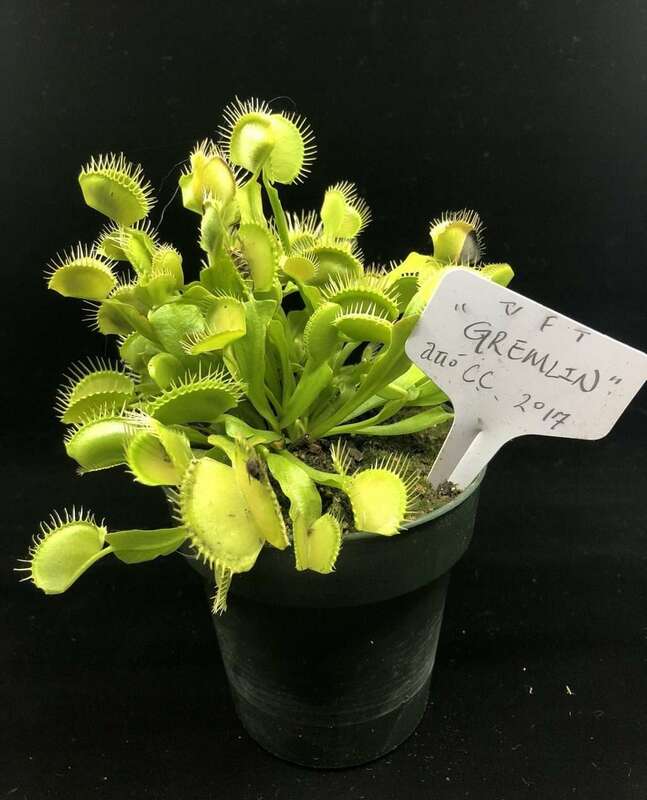 Dionaea ‘Big Mouth’ – Sometimes a name says it all. 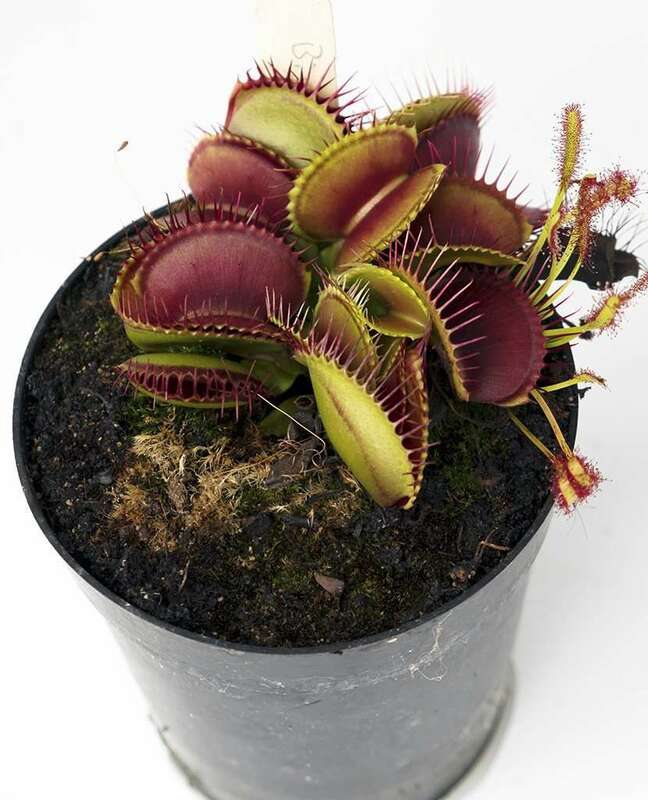 This Venus flytrap produces large, red-mouthed traps. 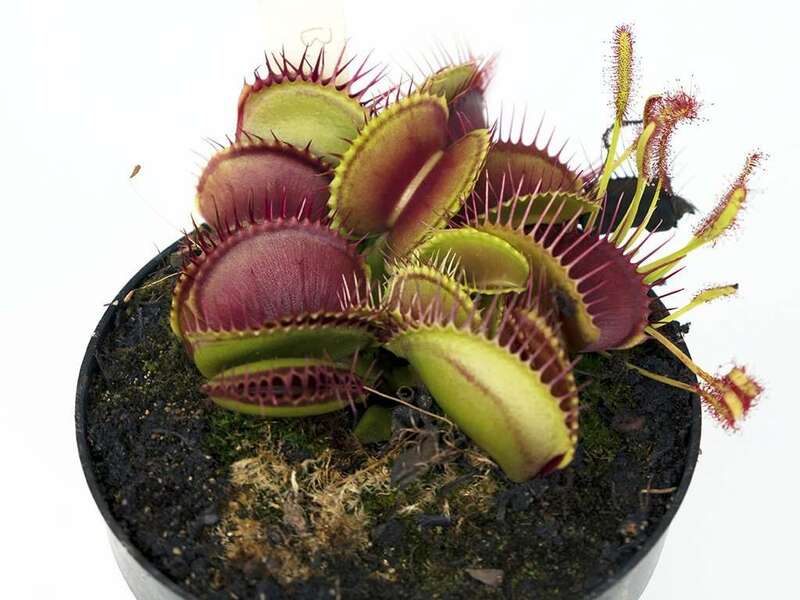 They hug the ground, producing few, if any traps suspended from upright petioles (unlike our friend, Dionaea ‘King Henry’ which produces many upright leaves throughout the season). 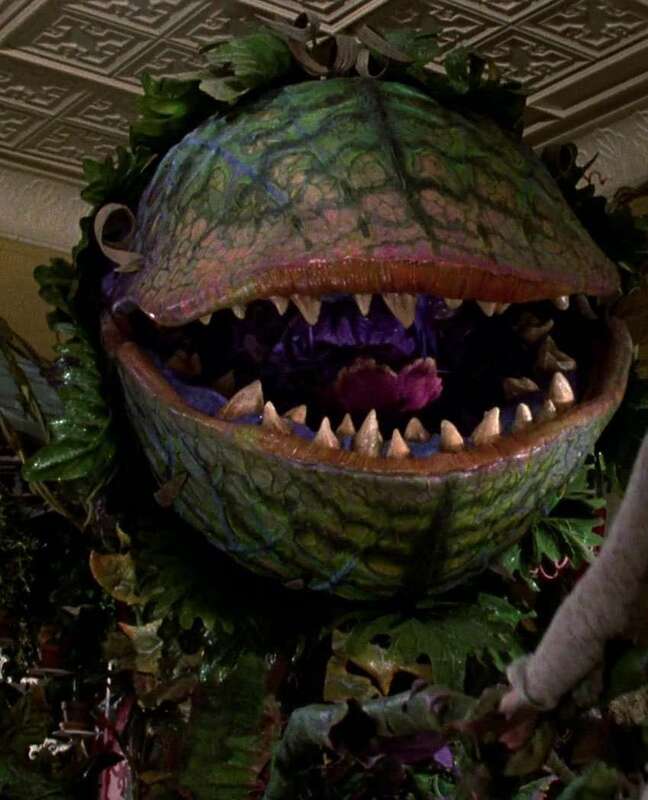 Petioles (the leafy stalks in-between the traps and soil) stay short, in general, and as trap size grows, the plant looks like a clustering mass of toothy insect nightmare. 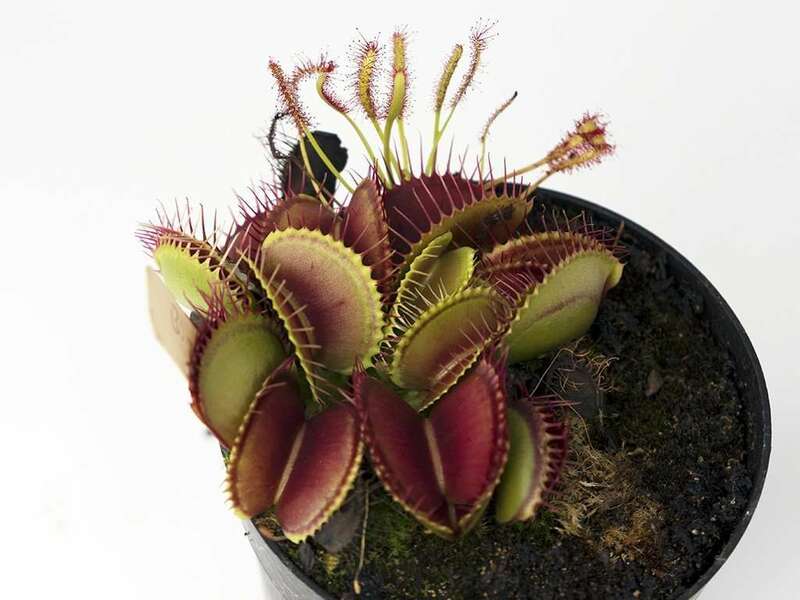 Dionaea ‘Big Mouth’ trap interiors turn a deep red while exteriors and petioles remain mostly green. 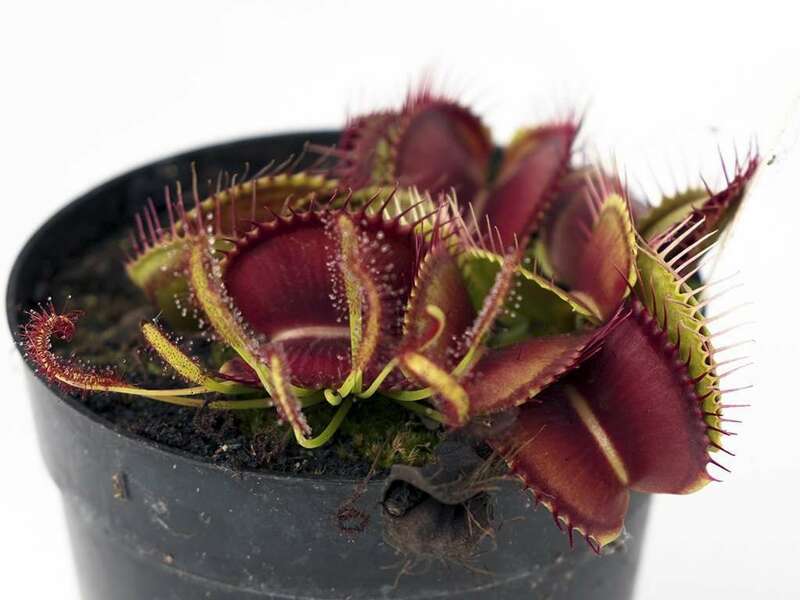 On select traps, the red color will bleed over the edge of the teeth and onto the backside of traps, stopping abruptly before it reaches the backside of the digestive region. Teeth are fine and long, like creepy eyelashes attached to the Eye of Sauron. 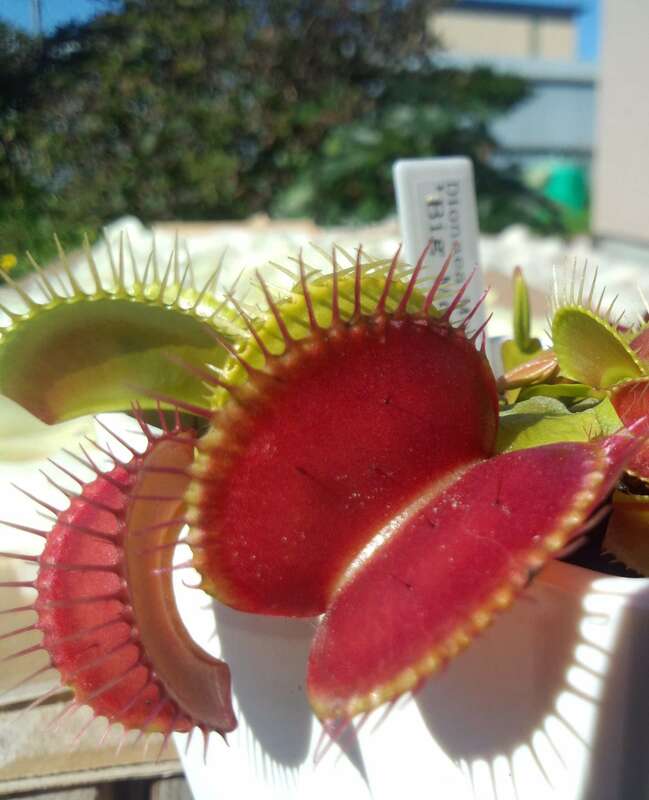 As mentioned earlier, Dionaea ‘Big Mouth’ petioles remain short. 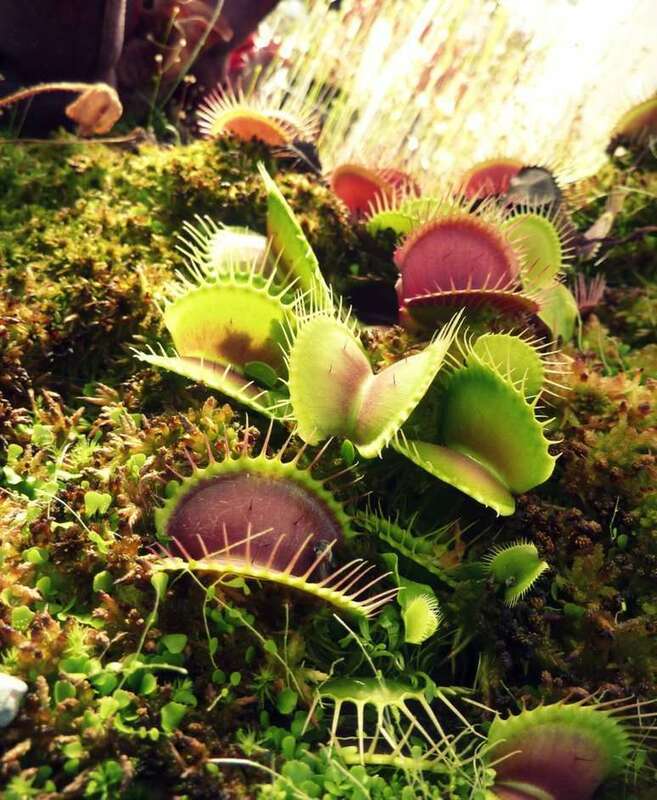 Above we see the results: a dense cluster of traps, some self-cannibalizing (they’re not vegetarians, they won’t extract nutrients from this) as movement of newer traps trigger older ones beneath. You can distinguish newer traps from old by the interior color. New traps open green, and redden with age and ample sunlight. 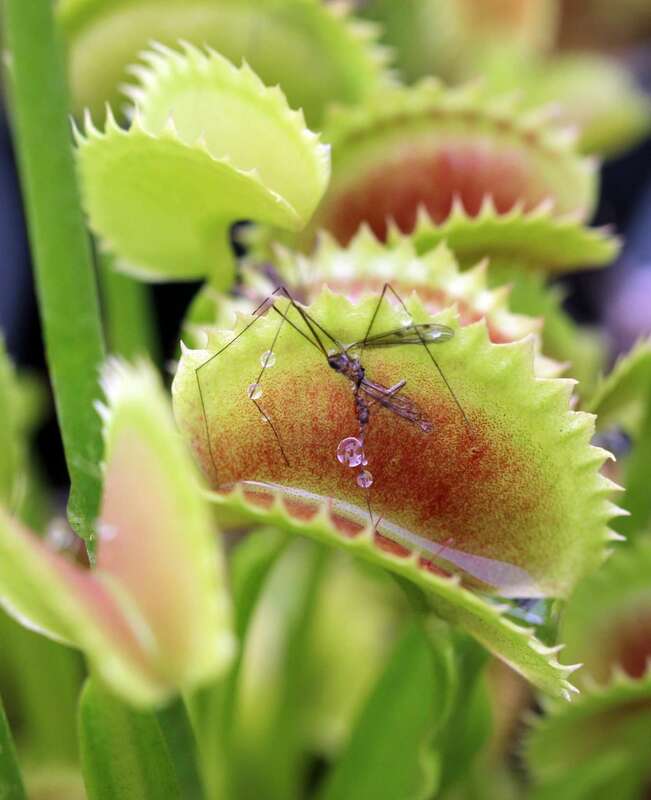 Also note the Drosera capensis photoboming all of our shots. 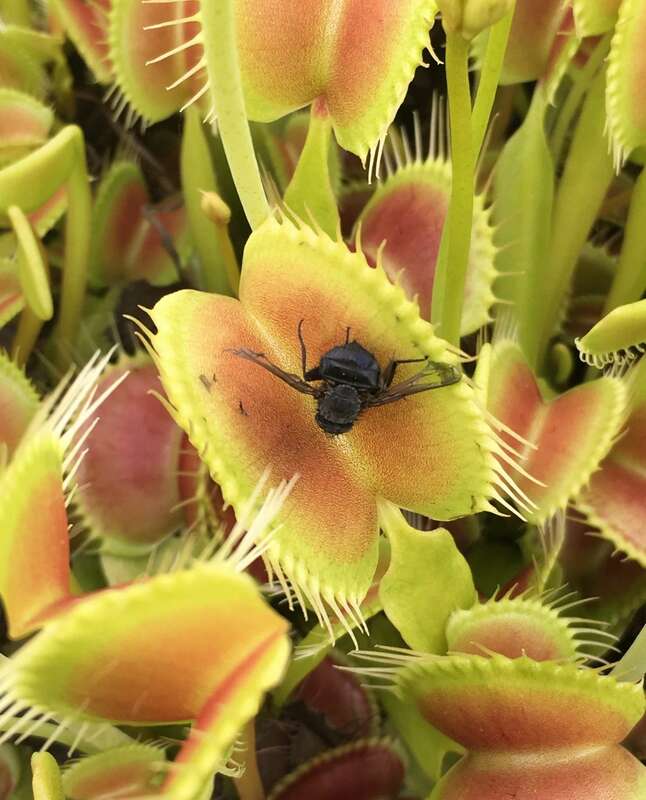 Darn capensis.